The More the Merrier! Stamp a gang! Hi friends! Do you have stamp sets that have several related characters? Today I’ll show you how to combine them using the masking technique so you can turn a solo stamp into a party! I have seen many cute stamps recently that will have a gaggle of characters grouped together like this but with those stamps you only get one option but if you have a set of single characters you can group them however you want giving you more bang for your stamping buck! Watch the video to see how and remember to save any masks you cut for future cards. Katzelkraft Meerkat stamp set, *Any of the other Katzelkraft animal sets would also be super cute with this technique. Draw or die-cut a Polaroid frame and use this technique to make a “selfie” themed card. Use this technique when you are making a card from a group of people, such as “Happy retirement from the gang!” or anytime you are going to have a group of people sign a card. People will have fun matching the stamped critter to the person in the office LOL! You can get a more elegant look by using butterfly stamps and coloring the with jewel tones. Whether you like cute or quirky, elegant or sassy you can get more bang from your stamping buck with this masking technique. Give it a try on your next card and til next time happy crafting! Hi friends! 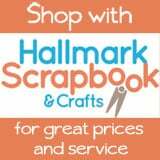 Here is a fun card and gift card holder you can stamp for a friends birthday! Watch the video to see how to make it! 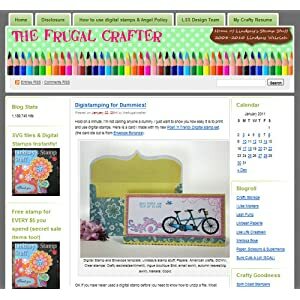 Lindsay the Frugal Crafter and other designers. I hope you give this fun card a try! Til next time happy crafting! 5 Ways to Use Circle Stamps! Hi friends! Sometimes it’s fun to see what you can make with a simple supply, in this case, circle stamps! Circles are fun shapes. Think bubbles and beach balls, they just scream “playtime!” You can go bright with confetti colored circles or use a soft palette for a gentle friendly pastel card. In today’s video I’ll give you 5 ideas and 4 finished cards using circle stamps. 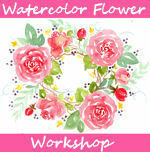 Tutorial sponsored by Rubber Stamp Tapestry! Get FREE USA (All 50 States, Puerto Rico & Guam) shipping on orders of $20+ throughout the month of March with Coupon Code: FRUGALFREESHIPPING New to peg stamping? 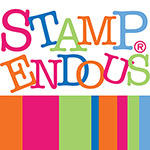 Become a Peg Stamp VIP here and you’ll get an instant coupon for 20% off Rubber Stamp Tapestry stamps plus the deepest weekly discounts available! Coupon only applies to new customers. Dies or electronic die cutter to make words. 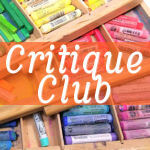 Experimenting with your supplies is a great way to learn what they can do and come up with new and unique ideas. Don’t expect everything to be perfect because you will learn just as much if not more from the attempts that are not successful. Give yourself permission to play! Happy crafting! Coffee Cards Made with Shaving Cream Marbled Paper! Hi friends! The other day I showed you how to marble paper with a kit from the Dollar Tree and water. Today I’ll show you how to marbleize paper with shaving cream! The benefits to shaving cream marbling is you get a bold color that does not lighten when dry and it dries very quickly! Watch the video to see how! Coffee Cafe Clear Stamps * dies and pattern paper are also available. Products are cheaper in a bundle. Shaving cream marbling directions: Apply a layer of shaving foam to a shallow tray or plate. Drop in reinker and swirl with a stick. Place cardstock on top and press down. Scrape off excess foam with an old gift card or scrap of cardboard. Let dry or heat set before using. *Note, shaving foam leaves a waxy residue on the paper so use strong adhesive if gluing things on top of the marbled paper. I think that this technique is best when you want a bold design and you want it now and that is why I personally prefer it to the water marble technique. I will admit that the water marbelization can look more elegant though:) What do you like best? Will you, or have you tried this technique? Let me know in the comments and if you enjoyed this tutorial please consider sharing it with your friends in social media using one of the hand sharing buttons below! Have a great day and til next time happy crafting! Hi friends! Today I hit the big 4-1 and honestly I don’t feel bad about it! 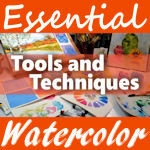 I feel so good in fact that I put my Essential Tools & Techniques for Watercolor class on sale for $41 this week! *If you click the link above it should show the discount but if not use the coupon code: BIRTHDAY41 to get the discount:) I think turning 40 was harder. Since 40 is a milestone birthday I think we put greater expectations on ourselves and set goals we should have reached by that age. Non milestone years is where it’s at folks. I thought it would be fun today to make a hand painted cupcake birthday card. You can paint this card in less time than it would take you to drive to the drugstore and buy one! This is the reference photo I used, as you can see my painting is nothing like the reference but it did give me a subject to draw from and I could see where the shadows fell on the icing. A reference photo does not need to be copied exactly and often it is better if you don’t. Use it as a reference and go on from there with your own ideas. It’s your painting, have fun with it! And if it doesn’t work out try again, after all it’s only a piece of paper. Watch the video and paint along, paint a few if you like, they are nice to have on hand and you can play with color choices too! Please feel free to use whatever paint and paper you like for this project. I like to paint on watercolor cards for practice because they are cheaper than making my own from watercolor paper and they come with an envelope but you certainly can make your own card with the paper you have. I hope you give this easy beginner project a try, and if you feel like you want more in-depth watercolor training please consider checking out my course Essential Tools and Techniques for Watercolor Painting on sale for $41 (Regular $79) this week only! In this course I show you the essential techniques to make your paintings more powerful. 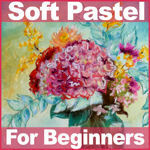 You will learn to mix colors from a limited palette. We will also go over the tools and supplies and how to use them. You will complete these paintings in class. I think the best feature of this class is that it teaches you how to paint, not just copy someone else. My goal is for my students, upon completing this course, is for them to paint whatever subject they wish because they will instinctively know how to mix colors, pick paper and paints and handle a brush well. 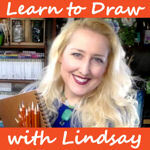 If you have ever felt like you needed more guidance in learning how to watercolor please check out my Essential Tools and Techniques for Watercolor course today at 48% off! Enroll today for $41 (Regular price $79) and you have lifetime access so you can return to the class whenever you like! This offer Ends 7/18/17. Thank you so much for painting along with me today and til next time happy crafting! Easy Coloring Botanical Birthday Card with Frugal Techniques! Hi friends! Today we will make a slightly over-sized card where we can play with many techniques and dust off some supplies you may not have used in a while:) There are many substitutions you can make while creating this card so I urge you to use what you have! This card ended up bring 5.5″x7.5″ but you can make any size card you like. I will share a few fun, fast and frugal techniques in the video and mention where you can substitute products, I will also post a specific supply list below. 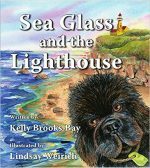 *Contains affiliate links. 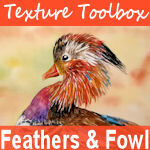 Tutorial sponsored by Top Flight Stamps Use coupon code thefrugalcrafter10 to save 10% on your order! So, tell me in the comments below what supply you “made do” with instead of “buying new”, I am always looking for ways to breathe new life into old stuff like the glitter bookplate I had been hoarding for years LOL! I love to hear your insight. Thanks for stopping by and til next time happy crafting!